Under the High Patronage of His Serene Highness Prince Albert II of Monaco every year sees the arrival of the Monaco Yacht Show . The largest of its kind in Europe it hosts over 100 super-yachts from 25-90 metres (82-295ft) with over 40 making their debut. It's a breathtaking display of design, engineering and wealth. If you are in the market for a yacht it's the best place to meet the leading companies and to see what they have to offer, and if you're not it's simply a fascinating day out. 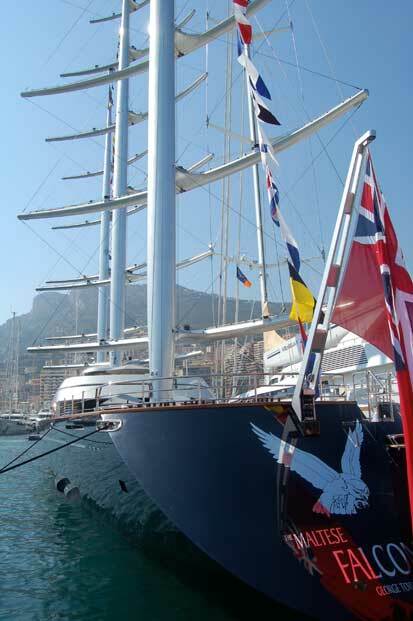 The Maltese Falcon, bringing sailing technology into the new millenium.